I thought as a first post i'd cover some of the races & rides this year, this was my first year of racing after a full winters training, luckily it paid of and I had a few good results. First 12hr of the year was CLIC24 a charity “ride”, originally a 24hr only but this year it had a 12 and 6hr category, the course was 10miles of mainly bridleway, double track and a small amount of tarmac. Thought I’d start the race on my singlespeed 29er as I found it feels much less effort compared to my 26er. The start felt relaxed after 3 xc races and I happily cleared the 24hr racer traffic and rolled through the start top 10. 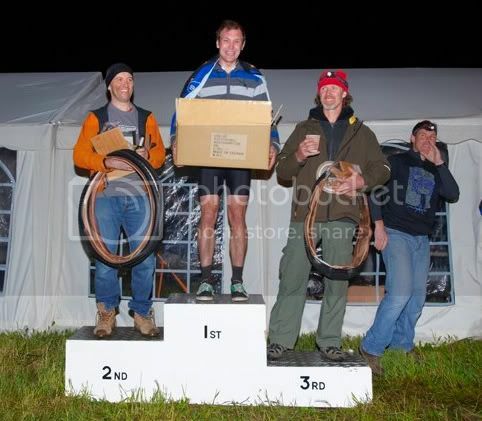 I kept a steady pace all day, feeling settled and comfortable, in the end I finished first in the 12hr solo by 2 laps, beat the 12hr teams and was leading the 24hr solo field. It felt a good start after the winter. 2 weeks after CLIC was Erlestoke 12, originally a 6pm-6am race, now a more social 12pm-12am, the course was a mixture of fast flowing singletrack, spikey climbs and longer tarmac climbs. 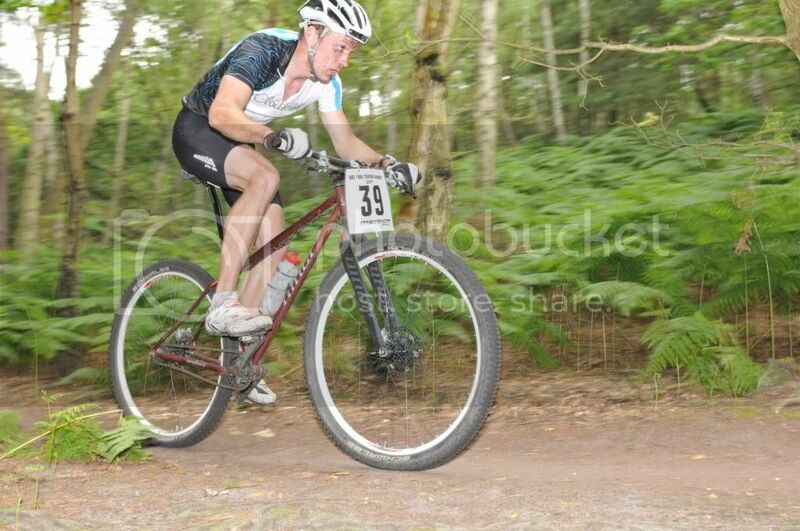 Felt quite a bit of pressure after a good ride at CLIC and hoping to perform well in the singlespeed category. Got another good start and stayed near the front, conscious not to race to hard from the start. With lots of support from the Black Canon guys and great pit work from my dad the hours ticked through, the small amount of raining making little difference to the course. As the day drew on I still felt good, but as the lights went on I had a very grotty lap, getting back into the pits I had a bottle of water, getting back out on the next lap I felt much better. By then my 12hours were up, turned out i’d lead the SS class since the start, had won by 2 clear laps and came 5th overall. Some nice prizes from Charge bikes helped me forget my tired legs and sore hands. 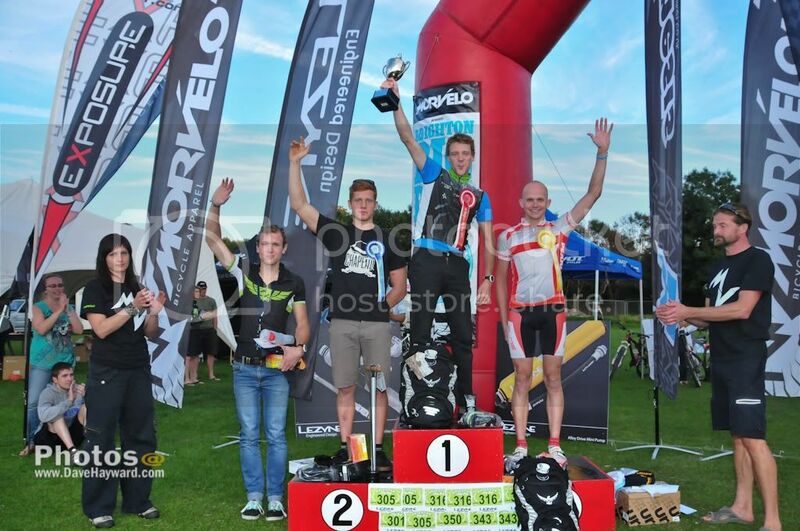 After a nice break I found a Gorrick Based 4hr Enduro lap race with a singlespeed class to enter. During my warm up I noticed quite a few big names from the enduro world were there, including Anthony White of Cannondale/MT Zoom racing. Got another flying start, leading the whole field down into the first singletrack, which came out onto a road section, legs span like crazy so I lost touch with the leaders until we got back into the singletrack. The course was tough! 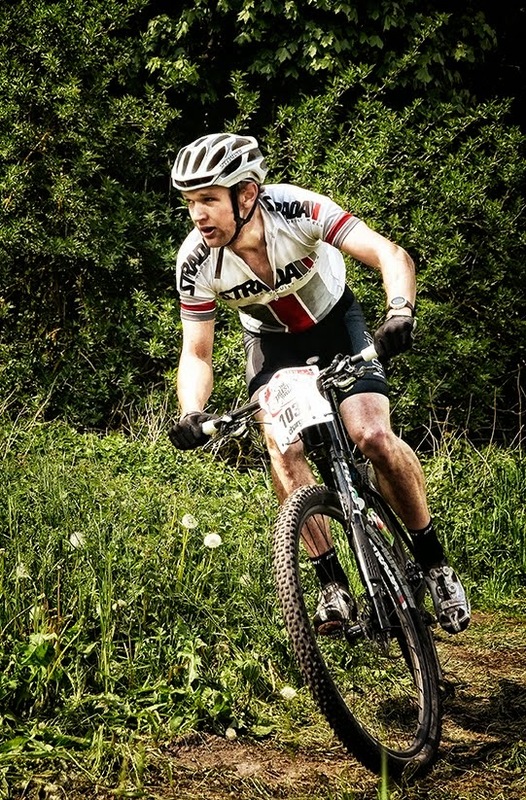 Very little chance to rest and very technical in places, I was glad it was only a 4hr races. Half way through the first lap I manage to wash the front wheel out on a loose corner, as I collected myself up the then second placed singlespeeder went through, and that’s how the race ended, as hard as I pushed I could not bridge the gap to him. Great respect to him, Mr White only beat me by 15minutes or so and my time would have placed me 5th in the Open class. After another little break of reduced riding I managed to get a later entry for Twentyfour 12 after writing it off for the year. 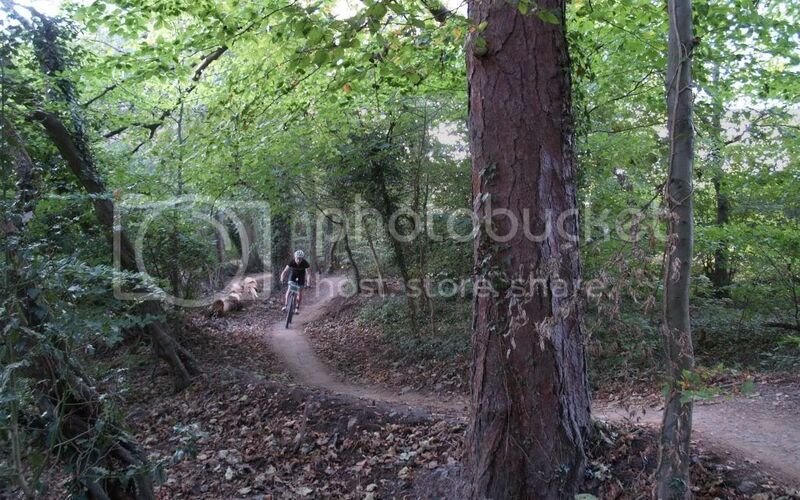 Having raced Newnham Park years ago and briefly this spring I had a fair idea of the terrain, but after listening to report from people had pre-ridden the course it sounded tough, lots of climbing but a rewarding course. Having not done the race before I was caught off guard by how early people queued up at start! So I snuck in near the middle, from the off the course climbed straight up a grassy slope where I weaved through the hoards of gear’d riders who are incapable of riding quickly up hills! As I had no pit crew I had little idea of my race position, but luckily 4hrs in I overheard the race commentator mention I was leading 12hr solo male, so I pushed on, after about 7hrs I had my usual feeling of feeling sick and getting slight cramps, luckily this eased as darkness well but I had lost first and was down to 4th, luckily some friends popped by to check my progress, I put them to use sorting my lights and lubing my bike whilst I ate. After that I put in two strong laps which bumped me back to 3rd, I rolled back in hoping for it to be passed 12am and leave me in third, unfortunately it wasn’t but I had called and end to my day, I went to bed thinking I’d been passed by 4th and 5th but luckily they had stopped before 12, leaving me in 3rd, I was very pleased as I had gone hoping to get some endurance back and came away with a podium and prize money. I had been looking forward to the Big Dog all year as I used to live in Brighton and knew the trails well. I went down the day before to practice the course with an old friend, the course suited me well, not too rough and manageable climbs. The day of the race was very warm, riding around before the start I noticed a few familiar faces from the racing world, including defending solo champion Ian Leitch on his factory Cannondale Flash 29er. I had a mediocre start so was pleased when the first climb appeared and I could pass people. I rolled through the start/finish line to be told I was “atleast top 20” I was happy with this an continued to push hard up all the hills and enjoyed the fast singletrack. I began to struggle with heat after a few hours and wasn’t drinking enough, but I was in a solid 7th place so needed to keep my head. I managed to keep pushing and kept consistent lap times and had a great last two laps. After finishing I checked the lap board to see I’d came in 6th, was pleased with that as it was a shorter race to what I’m used to, so I was surprised during the podium presentation that I was called up for 5th place! A collection of nice prizes helped ease my headache and the drive home the next day. Definitely going back next year to push top 3. 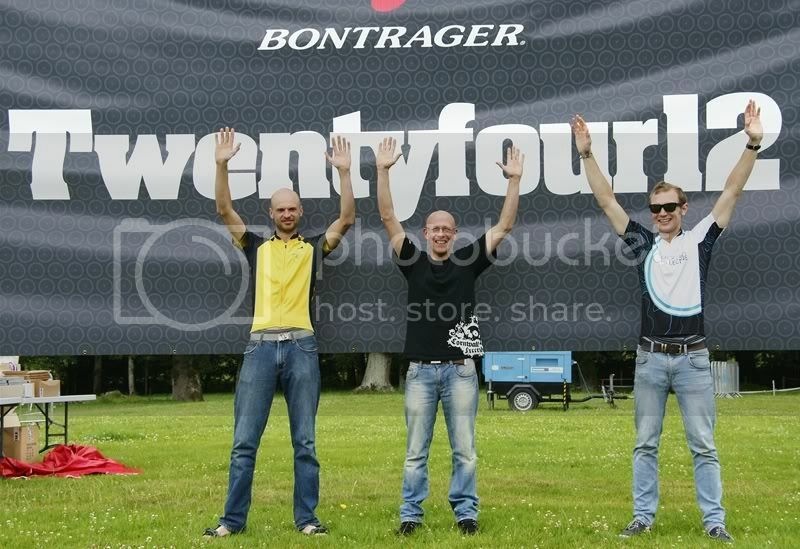 A race only in its 3rd year but widely renowned as an epic, which meant I had to give it a try. So on the Friday we drove the 300miles in lovely sunshine to the Campsite, checked in and stuck my tent in the only dry patch of ground I could find! We went and signed on, where I was forced to buy a survival blanket and whistle, what had I let myself into…. As the race is such a long way and they want everyone to get in before its dark the race starts at 6.30am! So I get up at 5am to discover it had been raining all night and was still raining, undeterred I dressed to suit and hoped the rain would stop. We assembled at the start, around mid pack, and followed the lead quad bike for about half and hour, luckily no one seemed keen in racing so I could make my way through the pack quite easily. So the race got going well, I had made my way forward and the pace was good, the rain was still falling but I felt good, then disaster my brake pad wore out after only 25miles! I only had one spare set so I knew I need to save these for the rear, so I plodded on, taking it steady down the descents and pushing hard up the hills, then after another 15miles my rear brake was totally shot, stuck in the new pads and proceeded to pass all the riders I had just passed =( I reached the 50mile point and felt so cold as I was soaked through, I put on another layer and pressed on. I reached the 65mile point and was relieved to find a tech station where I could get new brake pads for the front brake. I crossed the boarder back into the UK feeling better but still very cold, reaching the final feed station at 78miles I was ready to finish but I knew I had to keep going! 10miles from the end and I was knackered, I had been riding with another chap and we kept each other going, he left me as his brakes were working better than mine, 2miles from the finish and my front brake wore out again! So the last descent, which should have been really fun was taken with extreme care as to not crash! I crossed the finish line in 10hrs 53 minutes, 44th place out of 600 starters! and the 4th singlespeed rider. As the afternoon wore on the riders slowly came in, in the end 177 finished, less than 1/3! My first SSUK Champs and I had been advised not to take it too seriously! Undeterred I headed out on a practice lap to check the course, it then started raining heavily and I could tell the course was going to be tough in wet conditions. As is customary at SSUK races you leave your bike and walk to the start line, in the meantime your bike is “arranged” mainly into piles of colours or brands. After the Le Mans style running start I quickly found my bike and got going, unfortunately I took a tumble and damaged my rear brake lever, at this point I thought it was race over, but I managed to get them working again I contuined racing. Eventually I crossed the line in joint 4th officially, the organisers only count the first 3, or 9th unofficially, and happy enough to be top ten, but wondered how well it could have gone. Always another year. Had been looking forward to this race, partly because it was the last long race of the year, and because it had a singlespeed category. The format was 9am-5pm which meant an early start but less time for me to stand around fretting! Being a local race there was a few familiar faces to catch up with before the start, the start was a Le mans style running start, with such a big field it meant finding my bike and getting going quite frustrating, eventually I was going and trying to get through the field! The course was very fast and flowing man made singletrack, with a few long climbs but nothing too testing, i was expecting to struggle on the rougher sections but the 29er made light work of most of it, only struggling with a section of rock garden. Due to my poor start i found myself in 4th, the second and third laps went much better with consistent 28/29minute laps, this put me upto 2nd, where i was informed the leader was "2 minutes" in front, it took me another 2 laps to catch him, when i did overtake him he was looking spent, but I continued lapping at a consistant 30minutes, ensuring no one could catch me. As the day drew on i felt good and was enjoying flying through singletrack, trying my best to pass back markers in a polite manner, due to the amount of singletrack this proved difficult at times! I finished with 25minutes till the end, knowing i couldn't squeeze in another lap, to my surprise I was only clear by 5minutes! I was happy to end the season with a win, gives me motivation to work hard over the winter.